He worked hard every day for his family, often waking up before dawn to head to work as a machine shop mechanic. 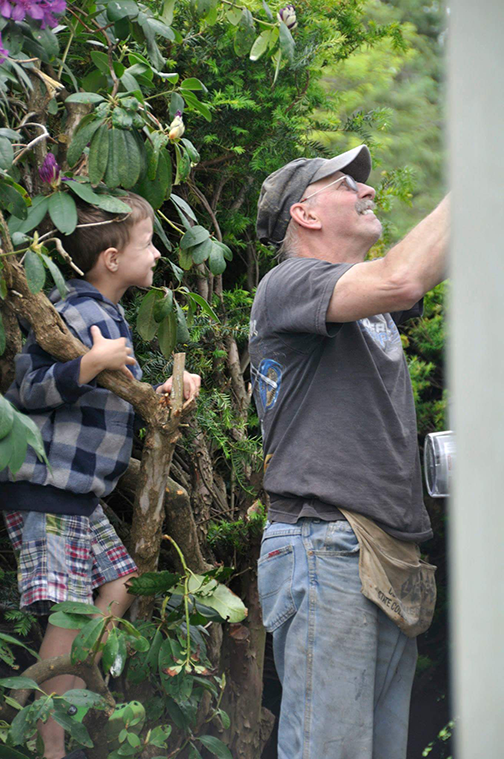 During his mother’s later years, when Alzheimer’s robbed her of so much, he would come home and head right next door to help his dad care for her. But all of that hard work and care came to a halt last year, when Steve Lowmaster noticed things were changing. He began losing his voice, and his speech became slurred. Muscle twitches followed, and walking was growing more difficult. By Christmas of 2015, doctors delivered the ominous news: ALS. 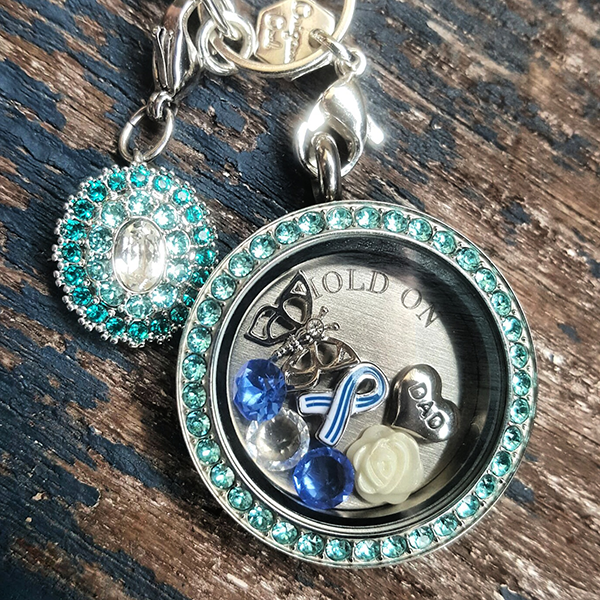 Origami Owl® Independent Designer Christy Pierce’s heart sank – she couldn’t imagine losing her dad, let alone to such a horrible illness. 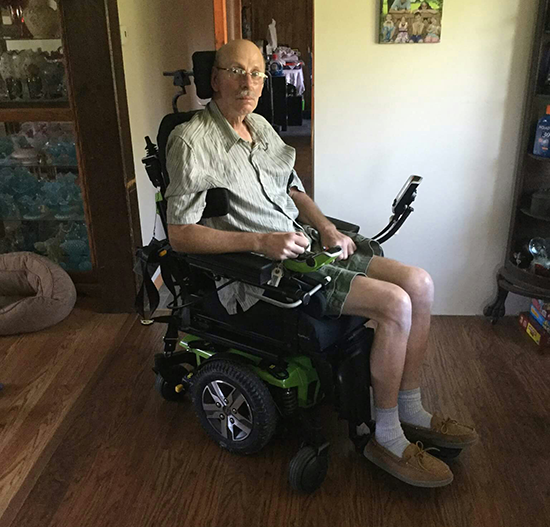 ALS – amyotrophic lateral sclerosis (also known as Lou Gehrig’s disease) – is an incurable disease that affects nerve cells in the brain and spinal cord, eventually taking away the ability to walk, speak, eat, swallow and, ultimately, breathe. Christy’s dad had always been her strength … he was her children’s big strong grandpa they called “Pappy” … and now he was growing weaker by the day. The family was suddenly faced with one of life’s hardest questions: How does one go on in the face of an insurmountable challenge? 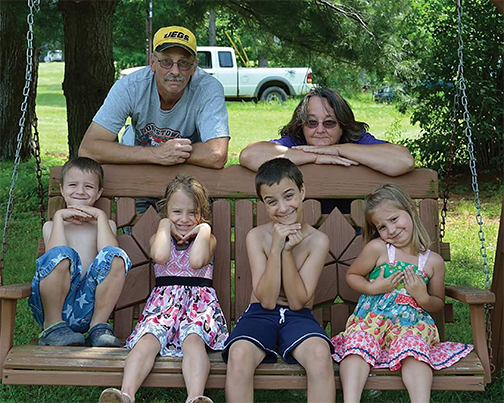 In the months that have followed the diagnosis, Christy said the disease has ravaged his body. The family has watched as he’s gone from walking, to using a walker, and now to palliative care. Christy’s mother has been by his side every day, helping him with everything from eating to dressing. 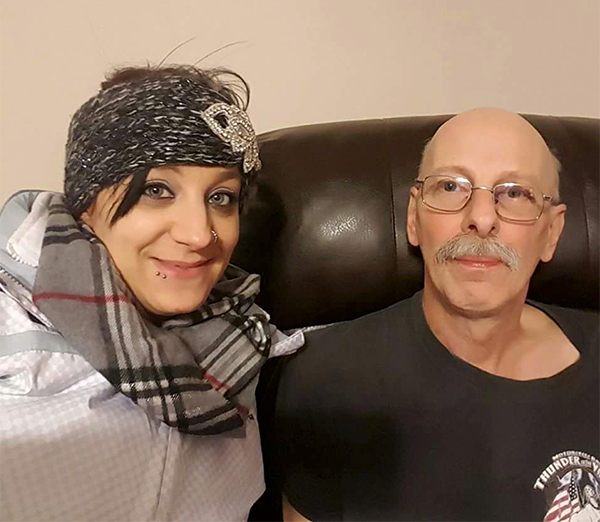 Christy and her siblings, Jason and Shannon, come by often to give their mom a break and spend time with their dad. The grandkids also bounce in, helping lift the mood when they say things like, “Pappy sounds like Chewbacca!” to describe his mumbled speech. Moments like these bring a happy smirk to her father’s face. “Those little things mean so much,” said Christy. Christy’s father, Steve Lowmaster, has asked us to invite anyone and everyone to help in the fight against ALS. To find out more and participate in a “Walk to Defeat ALS” near you, visit www.alsa.org.